A nice Stenopus cyanoscelis specimen at Interzoo 08, though missing a claw. 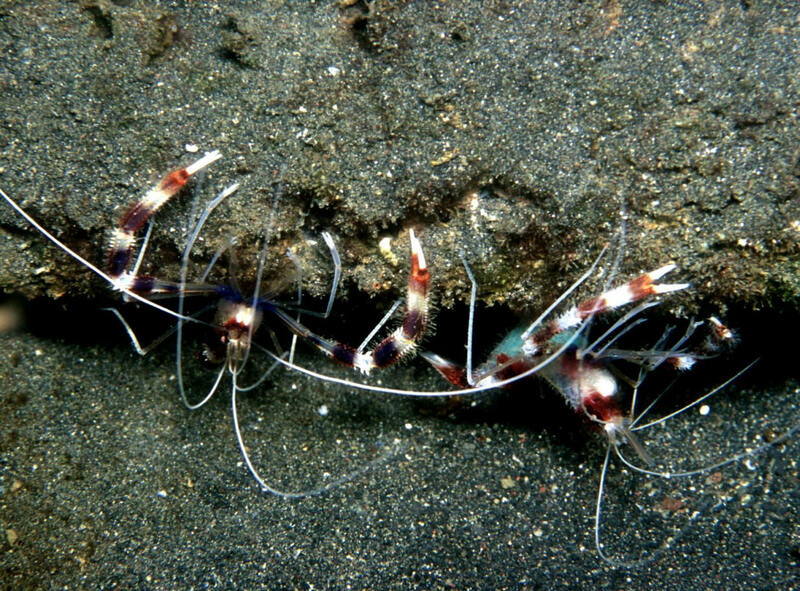 Stenopus hispidus Olivier 1811, the Coral Banded Boxing Shrimp. Worldwide tropical distribution. Males smaller, more slender than females. Keep in reef settings with a cave of their own. May consume small fishes, other crustaceans. Eat most all meaty foods. In N. Sulawesi.